Centennial Spray 34 / 36 - Many completed & cruising. Owner modified version with aft cabin shown here. The boat plans include Gaff rig . Bermudian rig . Junk rig. Please note that when you receive your credit or debit card statement the amount will be converted to YOUR local currency. STEP BY STEP ASSEMBLY PHOTOS INCLUDED WITH THE STUDY PLANS & COMPLETE PLANS. 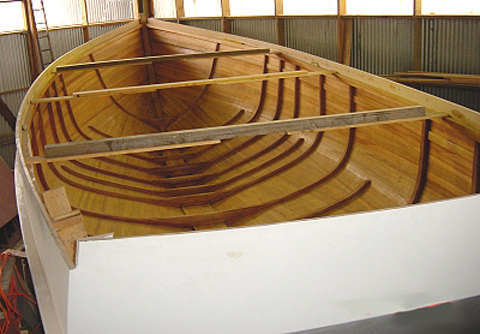 SPECIAL INTRODUCTORY OFFER: COMPLETE BOAT PLANS & FULL SIZE FRAME PATTERNS ... Delivered by DOWNLOAD to your computer within 12 hours of you placing your order. 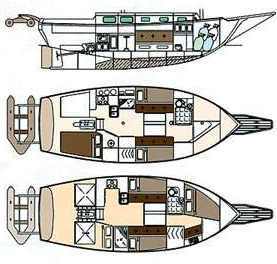 The plans have all the information you need to build your own boat.. Each plan contains all the construction drawings for STEEL, ALUMINUM or WOOD EPOXY construction, plus bonus drawings covering electrical, plumbing and engineering, everything you need to build your boat. L.O.D. ( HULL) 10.59 m 34' 9"
L.W.L. 9.45 m 30' 11"
DRAFT 1.45 m 4' 9"
Here we see the CS34 fitted with the cutter rig ... This boat will accept a variety of rigs including those shown below ... the junk rig is also very popular with Spray owners so you have a wide choice of sail boat plans when you build this sailboat. 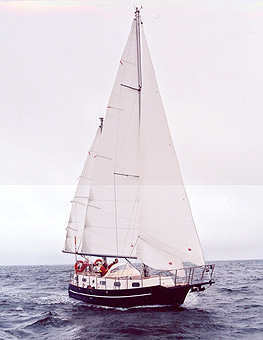 For the "Traditionalists" the gaff schooner rig is suitable for the Centennial Spray 34 and this rig along with all the others shown is included in the boat plans. The accommodation layout may be varied to suit your personal requirements. Here we show just two of the possibilities that are shown in the boat plans. 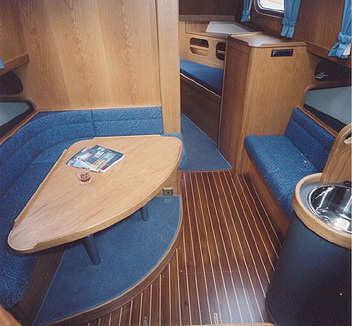 This boat can be built in Round bilge Steel or Wood/Epoxy. Several alternate accommodation and sail boat plans would be possible. A pilot house could also be included. 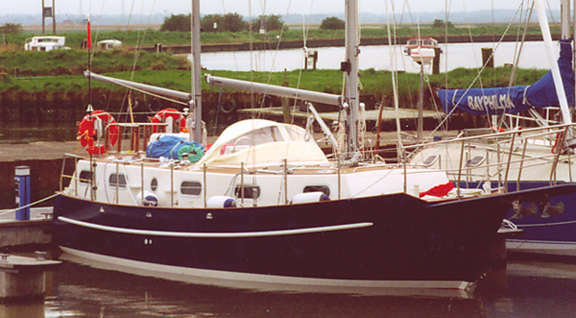 This Centennial Spray 34 hull was built in UK and is currently being fitted out by the owner. - YOU CHOOSE DOWNLOAD OR USB Memory stick.